My name is Lynn Houmdi and I am a maroc-o-phile! I have been living and working in and researching about Morocco for the last six years. I began this blog in 2012, on the eve of my move to Morocco, as a means to share my love and observations of the country – and particularly of Essaouira, where I settled. It has served me well as a portfolio for my writing, as a vehicle around which to develop my skills, and as a platform around which to build a number of Morocco-related work, travel and volunteering projects. I am now based most of the year in another festival city, Edinburgh in Scotland. Here, I completed in Summer 2018 a range of Masters-level research on a number of topics related to contemporary Morocco, including political-economy, society, social movements, gender and media. Armed with solid academic research and personal practical experience, I am now ready to take my interest in Morocco to the next level as I develop a consultancy offer to share not only my love of Morocco, but my extensive expertise on the Kingdom, to the benefit of organisations in the public, private, non-profit and educational sectors. I first visited Morocco in 2001. I found the people incredibly hospitable, the architecture and crafts inspiring and the colours (the blue skies, sunsets in the Sahara, the spices and hand-woven rugs) dazzling. I stayed in a riad (a traditional Moroccan townhouse) in Essaouira over the new year into 2002 and there began my love affair with Essaouira and my dream of having my own place in Morocco. Regrettably, my next visit to Morocco wasn’t until 2009, and I didn’t come back to Essaouira itself until two years after that. However, true love never dies and after 13 years working as a civil servant and diplomat, I moved to Morocco! Initially with a plan to open a riad guesthouse like the one in which I had stayed in 2001-2, I began my market research in Essaouira. However, many have trodden that path – with varying degrees of success, and I changed tack. Instead, using my blog as a platform, I developed my content management, social media, travel writing and photography skills and soon won freelance work as the go-to expert on all things Swiri (Essaouiran). I became a published travel writer, covering Morocco for brands such as Fodor’s, Journey Beyond Travel, Travel Exploration, Virgin Australia and others, published my own e-guide to Essaouira (now in its 2nd edition), and worked with local expat-owned businesses on business development, marketing and social media. In parallel, I began to better appreciate the precarious position of many Moroccans behind the facade of Essaouira’s tourist resort image, and got involved with a number of local and international non-profit actors including the High Atlas Foundation and Association Bayti Essaouira, both of whom I still support in a voluntary capacity. In 2014, I married the Swiri man who was the reason I moved to Morocco, and later that year we moved to Scotland together, but not before we were cast in an Al Jazeera documentary about Essaouira. Shortly thereafter, our Scottish-Moroccan son was born. During this time, I kept up my ties to Morocco, working with the English language media partner of the Fez Sacred Music Festival, The View from Fez (with baby in tow) and as an Advisor to the team of the documentary Casablanca Calling on a programme to screen the film to women and youth groups in Morocco to raise awareness of key social and gender issues and develop projects to tackle them. In 2016, when our son turned one, I began a Masters in Islamic and Middle Eastern Studies at the University of Edinburgh. Ever the linguist, I also studied Modern Standard Arabic (in Edinburgh and in Fez) to supplement my knowledge of Darija, the Moroccan Arabic dialect, and I continue to do so. With my Masters behind me, I can truly say that I have a through practical and theoretical knowledge of modern Morocco. My studies have enabled me to better understand the Morocco I know and love in a broader context, as well as to hone my deployment of modern research techniques. In March 2019, I was invited to present my Masters research – on contestation during Morocco’s “Arab Spring” – at a workshop of Moroccan Studies academics from around the UK. If your company or organisation is looking to engage internationally, get in touch! If you need someone with an in-depth knowledge of Morocco (among other countries) and a broad network of in-country contacts, laid over a foundation of solid management skills developed during a previous career as a government official and diplomat, please drop me a line! I would love to explore with you how international engagement – with Morocco and its people or elsewhere -could support your business aims. For more of my story as an “Expat” in Essaouira, read my interviews with expat.com, Expatfinder Expat Focus and Expat Arrivals. For more information on my professional career, check out my profile on LinkedIn or contact me for a copy of my CV. Sorry for the delay! I’m glad you like the blog! I thoroughly recommend La Fromagerie! As long as your veggie friend eats cheese, you’ll be fine. Getting there is a little complicated – you’ll need to book a transfer or a big taxi. Lunch is lovely for al fresco dining, dinner is cosy in the atmospheric salon. 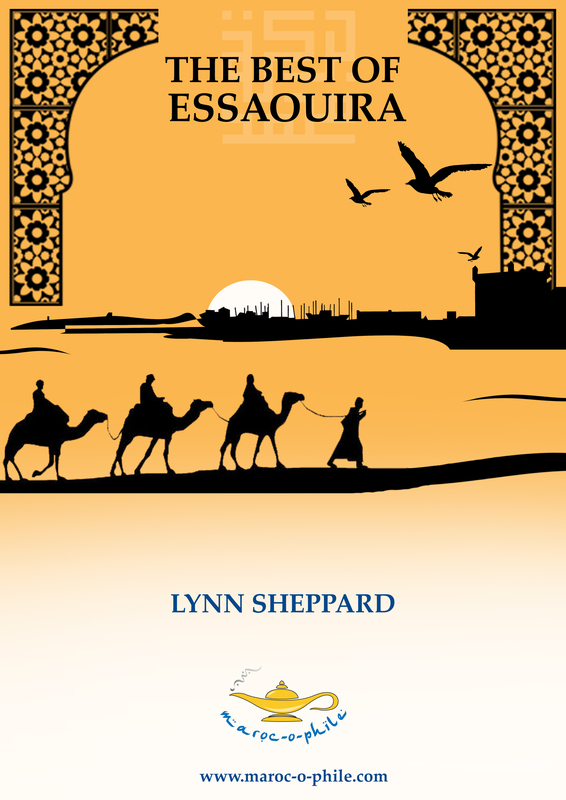 More details and contact info in my new e-guide, The Best of Essaouria: https://maroc-o-phile.com/best-of-essaouira-e-book (also available via Amazon for Kindle). Have a great trip! If possible, we would also like you to write your story (bio – where you live and how you decided to live your life abroad)– example: https://www.peopleabroad.org/nerissa-filipino-living-in-italy/. Since this website is still under construction, we do not have yet made it available to search engines for indexation. So, to access it, just type http://www.PeopleAbroad.org. We are just starting and that is why your help is essential.We would love to see you onboard! thanks for reaching out. I would be interested in contributing, but would like to know more about the site. Perhaps we could have this conversation by e-mail? Please get in touch by e-mail – my address is all over this website. My name is Joe Pinzone and I’m casting an international travel show about expats moving abroad. We’d love to film in Morocco and wanted to know if you could help us find expats who have moved there within the last 15 months or have been there for 3-4 years, but recently moved into a new home. The show documents their move to a new country and will place the country in fabulous light. The contributors on the show would also receive monetary compensation if they are filmed. If you’d like more information, please give me a call at 212-231-7716 or skype me at joefromnyc. You can also email me at joepinzone@leopardusa.com. Looking forward to hearing from you. I’ve been to Morocco twice in the last two years. We would love to visit more often – our only problem is that there are no direct flights from Malta so it can be a bit costly to get there. We have often considered moving to Essaouira – we’re both EFL teachers, but I haven’t been able to find any English schools nearby. I’m also a freelance travel writer, but unfortunately it doesn’t always cover the rent. I’d love to know what other possibilities there are for expats in Essaouira. Would be nice to hear from you with suggestions! it’s great to ‘meet’ another maroc-o-phile! Thanks for the link to your post – I’ll share it on my social media streams. Personally, I think the best way to live in Essaouira is to make your money elsewhere. It’s a small city and does not present the economic opportunities of larger centres such as Marrakech or Casablanca. The main activities are tourism and fishing! There are a couple of English schools, but the demand isn’t huge. I suggest you join the Facebook group I administer, Essaouira Expats and Friends – https://www.facebook.com/groups/552493944818838. You can get to know some of the other foreigners in town and kick off a discussion about how they make a living and maybe meet up with some of them next time you are in town. Feel free to send me an e-mail if you have other questions. There’s quite a bit of info on living in Essaouira on the FAQs pages. I’m surprised to hear that there are actually two English schools in the area – maybe I didn’t do my research well. In fact, we were actually thinking about opening our own English boutique school and cafe in Essaouira, but that plan has been put on the back burner for now. We’d need to get higher qualifications first. Thank you for your help! If I do return to Morocco I’d love to spend at least three days in Essaouira, and then possibly visit Fez and Meknes for the first time. You’re welcome, Daniela. I can thoroughly recommend Fez and I think it would give you a good opportunity to meet other foreigners doing exciting things! Happy travels! I am planning to visit Essaouria in either September or October alone. I am a mature female. I want to visit for a long weekend now that EasyJet fly direct and I have travelled just a couple of times on my own before, but not to Morocco. 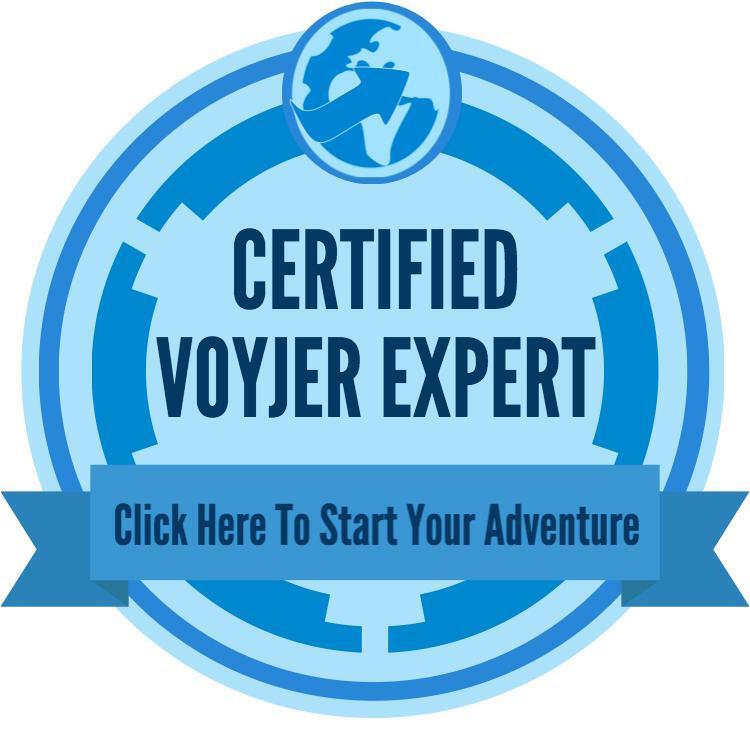 I am quite confident but find I have just a slight hesitation travelling to Morocco alone and I would like to be as prepared as I can, particularly as it will be only for 3 days. Can you give me any guidance on finding a good guide to spend a day or two with so that I get the best out of my trip and if I stayed in a Riad in the Medina is it easier to navigate than Marrakech (which I found really complicated!). Or if I choose a larger hotel outside the Medina, would walking around to/from the Medina in the daylight be simple and not take me too long and would I be safe walking alone. I can’t quite get a feel for how big Essaouria is. Could you suggest busy places/areas that are known for good food for me to dine in the evenings where there would be lots of people around – it would be early dining and I am not a night owl. And anything else that I should think about to make the most of my trip? thanks for getting in touch. Essaouira is the size of a British market town – around 70,000 inhabitants. It is easily navigable on foot and the medina is small, easy to get around and pedestrianised. Outside the medina walls, taxis cost 6.5dh per journey in the daytime, 8dh between 8pm-8am. They are plentiful. Everyone has a different experience, but in my opinion – if you follow the usual precautions you would anywhere – Essaouira is safe. The medina vendors are much less pushy than in Marrakech and any unwanted attention is easily brushed off. The more open (with common sense) you are, the more likely you will meet interesting and friendly people (as most Moroccans are). For an authentic experience, I suggest staying in a riad. If you want a recommendation, feel free to e-mail me. There is a female guide in town called Rachida. She comes highly recommended. Again, mail me for her details (or get your hotel to contact her). You’ll really only need a guide for half a day or a day at most. Essaouira isn’t that big and the fun is in discovering yourself. For other recommendations, I suggest you download my e-book. You can do so on my website (https://maroc-o-phile.com/best-of-essaouira-e-book) or on Amazon for only £2.99/£2.95. Thanks so much! I would appreciate the contact details for the Rachida – do you know if she works on the weekends as I’ll be visiting Friday through to Monday. I have found a Riad called Riad Malaika which looks great and has good reviews – do you know it? Finally, can you recommend a local taxi to collect me and take me back to Essaouira Airport? Your website is brilliant by the way – loads of great information. And I shall download your eBook too. I’m glad you are enjoying my website. I will reply to your questions by e-mail. 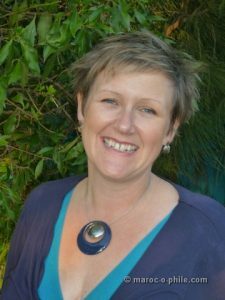 I came across your website through another – wildmorocco.com – and found some soulmates!! There is such a thing as maroc-o-philes! I have gone back and forth over recent weeks pondering my own situation but here I am! I live in Australia and first visited Morocco in 2012 with my sister. It changed my life – its both magical and very “grounding”. I have been assisting our driver from that tour to improve aspects of his tour business, and have returned both subsequent years (I have family in the UK) , learning & seeing more of Morocco on short tours (including passing through Essaouira). I was marooned in Chegaga by the terrible floods last November … extraordinary! But what photos & what a story… a privilege really and experience money cannot buy. I am contemplating a longer stay (90 days?) soon.. but am concerned being a woman on her own on finding secure, reasonable accommodation in probably Marrakech. Or even a support organisation based there. I wondered if you might have local contacts or suggestions. My friend will help, but do you have leads I could follow up? As I will be more on my own this time, I face it with some trepidation – I will not have the same security as touring with a driver/guide every day!! But cannot stay away!! I can manage basic French. You are all inspirations! I love the definition above of maroc-o-philes! I suspect I have rubbed the lamp. Thanks…. and good luck in your endeavours. it’s great to hear from a fellow maroc-o-phile considering the move to Morocco like I was 3 years ago… My life has certainly been changed by that experience! As for contacts and networks in Marrakech, there are a few expat groups on Facebook you might find useful. There are groups called Expats in Marrakech and also American and English-Speaking Women in Morocco. Once you are in Marrakech, it’s relatively easy to meet other foreigners. Try Cafe Clock or Cafe du Livre. There are also plenty of Australians around. Look up Roam Like Queens and MyMorocco on Facebook for contacts. I am planning a trip to Morocco next month from the US with a friend who lives here as well, but is Moroccan. He is telling me that Moroccan art has gained popularity in the US and may be interested in importing some. I found an article that you did about 2 years ago on Moroccan arts and crafts, and wonder if you have any current insight into this trend and any thoughts. Hoping to arrive Marrakesh middle of next month and spend a few weeks roaming about the country.